Local sailors´tips on the best harbours, marinas and anchorages. 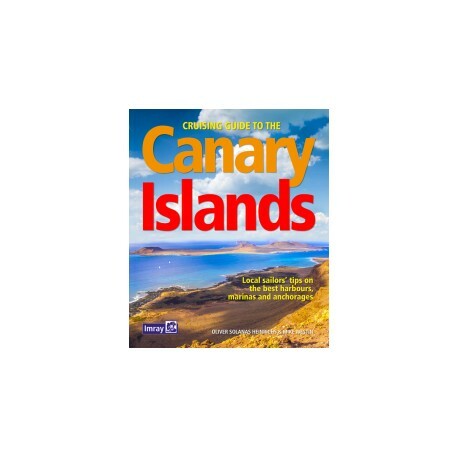 This lively cruising guide to the Canary Islands, compiled by Oliver Solanas Heinrichs and Mike Westin, offers a useful combination of cruising information, sightseeing recommendations and tips from local sailors about the beautiful islands of this Spanish archipelago. 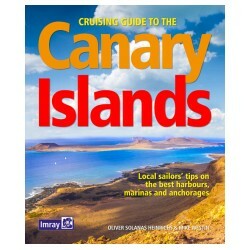 Well researched texts give full detail of marinas and anchorages in a friendly and accessible style, with spectacular aerial photographs detailing the rugged volcanic scenery and black- and white-sand beaches of the islands of Tenerife, Fuerteventura, Gran Canaria, Lanzarote, La Palma, La Gomera, El Hierro and La Graciosa. The authors’ invaluable network of contacts has added an extra dimension, with tips and recommendations from locals. Imray’s clear and informative plans include the usual pilotage information plus details of wind acceleration zones, useful facilities and attractions in the areas surrounding each harbour. A handy guide for those who want to explore the Canary Islands in depth or simply pass through on their way across the Atlantic.